Footage from the Fools Gold Showcase by Brook Bobbins. You already know how AraabMUZIK does. And the series comes to a close. HighSnob should keep this going for next year. In the final episode of our series with Yelawolf at SXSW, he discusses his abilities as a singer vs a rapper, meets with Peter Rosenberg of HOT97, and talks about photo/video in the current stage of hip-hop. Yelawolf continues to discuss the influences that allowed him to create his own unique style. He also compares older and current tracks to the upcoming tracks from Radioactive with Shady Records. Best line. The opening episode comprises of Yelawolf telling us about his changes from last year’s Fader Fort performance and how he developed his sound. Also, he drops few gems for you aspiring rappers out there (besides the quote). Originally hailing from Florida, Marques Toliver is a 23-year-old, classically trained musician and vocalist now based in London. Marques recently made his television debut on \’Later With Jools Holland\’ and his first EP \’Butterflies Are Not Free\’ will be released by Bella Union (home to the likes of Fleet Foxes, Beach House, John Grant, amongst others) on April 25th. Nardwuar interviews Lil’ B at SXSW. Here’s a teaser video to get all that are going to Austin a little more excited about Fader Fort by Fiat event. From experience I know Fader Fort events are always insane, and I’m sure it’ll be even crazier in Austin. ENJOY! 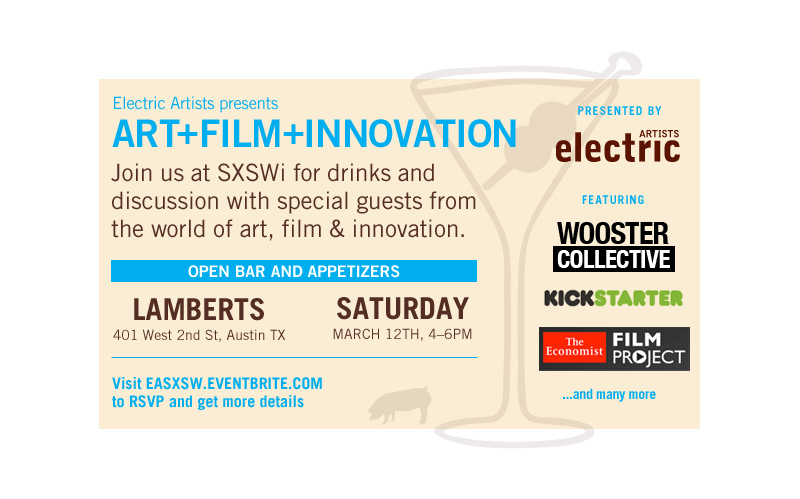 Please join us for an evening of drinks, discussion, and networking with an incredible group of special guests from the world of art, film and innovation on March 12th at 4pm in Austin, Texas during SXSW.